What would have been more accurate is if I had said to my friend “I am experiencing a time of unrelenting pressure to deliver an increasing number of outcomes in ever shorter amounts of time.” Sort of like running in front of lava or a landslide. 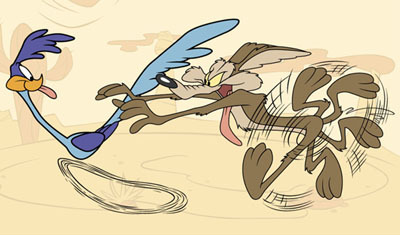 Funny in a Looney Tunes cartoon, less so in real life. Maybe if I could make my feet do those fast wheelie things it would be okay. Add to this mix the fact that my husband and daughter have also had a tough few months and we have a heady brew of cortisol and other assorted hormones making for one jagged household. On top of the tightly booked calendar there always seems to be something that needs doing: a client that needs a follow up, laundry that needs folding, an email that needs a reply, so its easy to just go, go, go. And we get good at it don’t we? The tough part is figuring out how to come out of it. Last night after dinner I changed into my robe and lounged on the couch and re-read a favorite Terry Pratchett book (Making Money) and realized that it felt like a vacation day. Home on time, no meetings, no events, no four-more-hours-of-work waiting for me before bed. Just decompressing with a thinly veiled sci-fi fantasy commentary on modern banking and economics. It was a reminder, not of the mythical work life balance we all strive for, but what a danger it is to let urgency become the default groove. Sometimes it’s necessary and you have to push through and get it done (Hello January through June 2015! ), but we humans love our habits and emergency mode is as addicting as any other form of adrenaline. I’m a creature of words. I need time to think. And write my blog. And lots and lots of time to socialize and talk about what I think. And when the schedule is this heavy and the stress is this steady, I can’t think properly anymore. Time to step back and see how to lower the stress level. Because crazy busy is not a thing, it’s a habit. Over-scheduling is either a choice, or it has a solution called “cutting something.” Everything feeling like an emergency because of over-scheduling is also a choice. I can’t always control my schedule, but I can control my attitude. 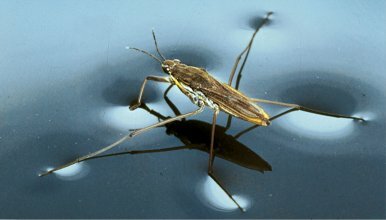 My goal for June – December of 2015 is surface tension rather than “crazy busy.” Float delicately on my calendar (and life) like a water strider, poised and professional. And the house may have to clean itself. I’m not sure it’s ever done, but I’m strongly considering a blanket email to my entire contact list as a kind of apology – “I’m sorry I’ve become that person who hasn’t replied to your email for six weeks. It’s not you its me.” But maybe everyone has forgotten what they wanted and moved on by now.